I was telling my sister how I’ve made some progress recently and I quickly realized that she had no idea what I was talking about. I think it’s because she’s not on Ancestry. So I’m going to show how I make connections. This is mainly for my family that has no idea how I do what I do. A very helpful “DNA Detective” taught this process to me. When we got the results back this is what her DNA match pages look like. This a short list of 3rd cousin matches to my mom. I then view their tree and create a tree that looks just like theirs. You can either create an entire new tree OR create a floating branch in an existing tree. Instead of spending HOURS on one DNA match’s tree and trying to find how we’re connected, here’s what I do. Link my mom’s DNA to the home person in the mirror tree I created. 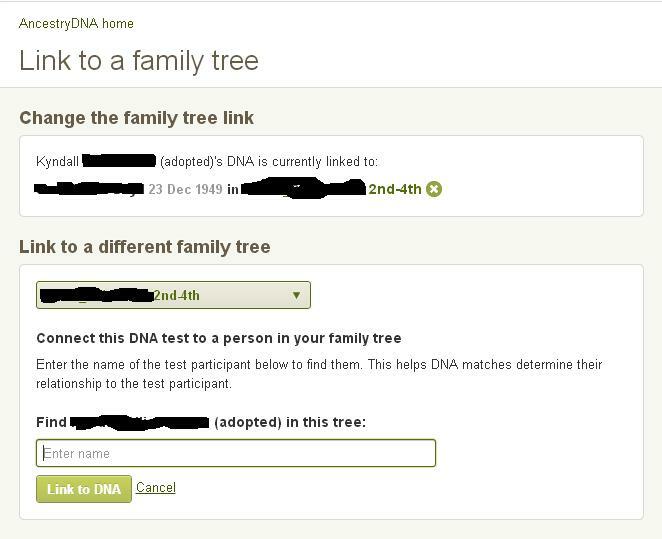 Here is a screenshot of how I can link my mom’s DNA to different people in different trees. The tree has to be a tree that I manage. That’s why I have to create a tree or get the DNA match to send the ged file. 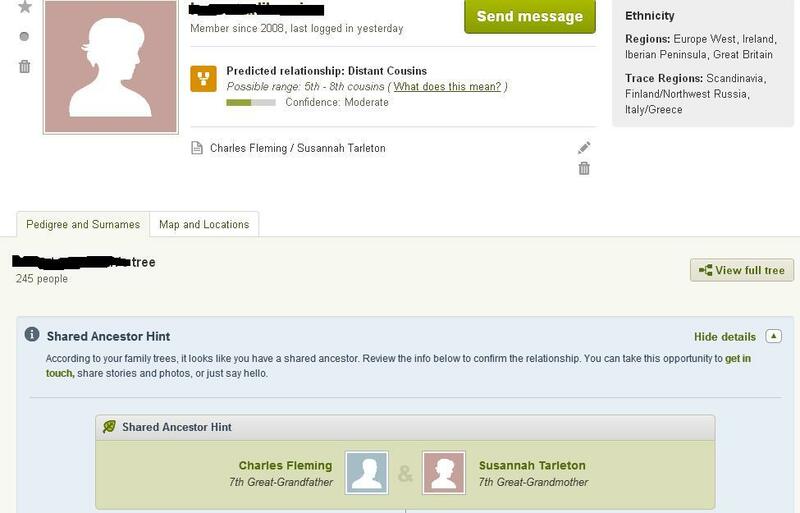 In this screen shot, I have my mom’s DNA linked to someone (a potential bio-dad) in a tree of a 2nd to 4th cousin match. Once I find a pattern, I can figure out which side of the family my mom is related to. Read a little further and you’ll understand why. Once my mom’s DNA is linked to the DNA match’s tree, AncestryDNA will scan through my mom’s match list their trees and try to find common ancestors. After giving the system some time to find some matches, here’s what I do. Click the button that says Hints. If you are familiar with Ancestry, you are familiar with Leaf Hints related to records, pictures, trees. On AncestryDNA, hints refer to Common Ancestors or Shared Ancestors. The matches below are DNA matches to my mom AND they have a shared ancestor. These people are probably related to the 2nd-4th cousin that I have my mom’s DNA linked to. Here is a screen shot of one of my mom’s DNA matches that has a shared ancestor when linked to the 2nd-4th cousin’s tree. She has a shared ancestor with this 2nd to 4th cousin that I have my mom linked to. Even more exciting – I have more than just this one DNA match that has Charles Fleming and Susannah Tarleton in their tree. By taking a close DNA match’s tree and linking my mom’s DNA to their tree, I only see people that match my mom’s DNA AND have the same people in their tree – a shared ancestor. The red dots indicates that they are a shared ancestor between my close DNA match and other DNA matches. When working on your mirror trees, i find it helpful to print out a pedigree view of the mirror tree and mark which ancestors pop up as shared ancestor hints. Make note of how many cousins also have that person in their tree as well. As for other adoptees looking for family this is a really great starting point. Get your DNA tested at AncestryDNA and get started. Once you can narrow down a branch, you can look at the children of the closest shared ancestors. Look at who those children married and go as far back as you can on the spouse’s family. Eventually you should find a shared ancestor among the spouses of the children. For instance, I’ve looked at Matthew Bates and Amanda Clayton’s children. They have a daughter names Amanda Jane Bates and she married Albert Boone. My next step is to go back on his family as far as I can. His great grandparents are David McGee and Mary Cook which are the ancestors that pop up as a shared ancestor. I think I’m on the right track. But, just one shared ancestor hint is not enough to make assumptions. Check out 5 Mirror Tree Questions Answered or What is a Mirror Tree if you still have questions. AncestryDNA links in this post are my personal referral links. You will get 10% off and I will get a referral fee. Suzanne Is my 8th. Great grandmother. Can’t believe I found this post. Excellent job of explaining how to make a mirror tree. Thanks! How exciting! It’s nice to meet a “new” cousin.. What a small world! This is so random. 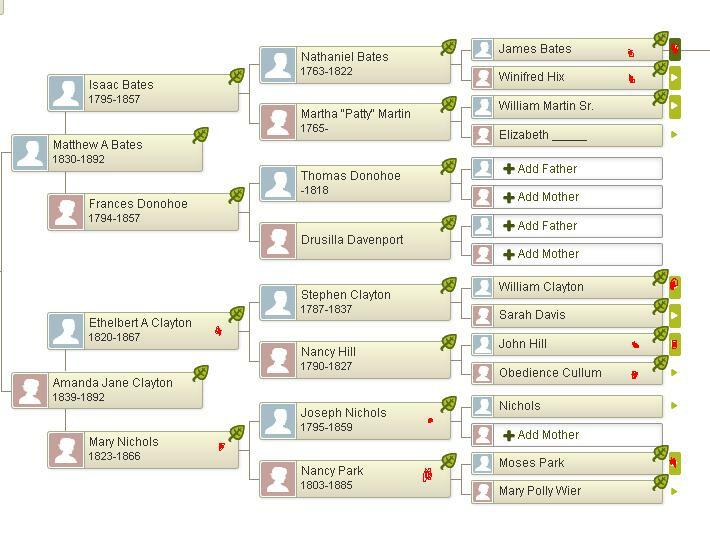 Depending on which Isaac Bates you’ve listed, He was either was my g-g-g-grandmother’s brother or first cousin– but I got here because I am working on genealogy stuff, not looking for Isaac Bates. Too random! This process was taught to me by a “DNA Expert” in the Search Squad group on facebook. I’m part of some DNA groups on facebook and I follow blogs written by people have a greater understanding of DNA than I do. Seriously – I really don’t know or understand DNA that much. I really only know enough to put some pieces together. There are a couple blogs and websites I visit to try and get a better grip of this stuff. You just have to jump in and wade through all this.. Eventually it will start to make more sense. I would very much enjoy watching you walk your audience through an example on YouTube. Any chance you would consider posting a video-please? Please do a video. PLEASE!!! I’m having trouble following this. I’m not the most tech savvy person but I’ll see what I can do. I don’t understand how you make the mirror tree. Can you save their whole tree? You can’t save the whole tree. You have to create it from scratch. I usually have their tree on a split screen so I can quickly create it.. I followed your directions above. 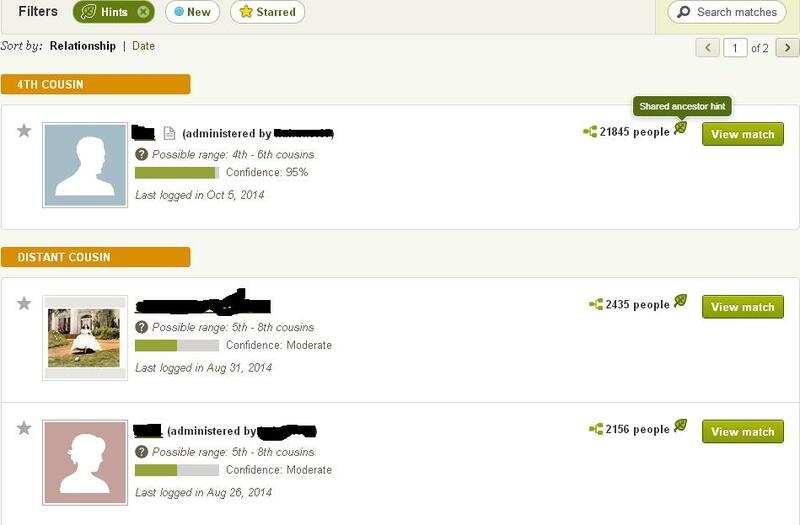 But I can not get the DNA results on Ancestry to show me the “linked to” results (which are my results linked to my match’s tree.) Can you help? I’ve answered this and other similar questions over on my new post. https://borninneworleans.com/how-to/mirror-tree-questions-answered/ Let me know if this answered your question. It definitely seems you are on to something. I’m glad this was useful to you. It’s hard to say without actually looking at what you have. I am SUCH a visual person it’s not even funny. 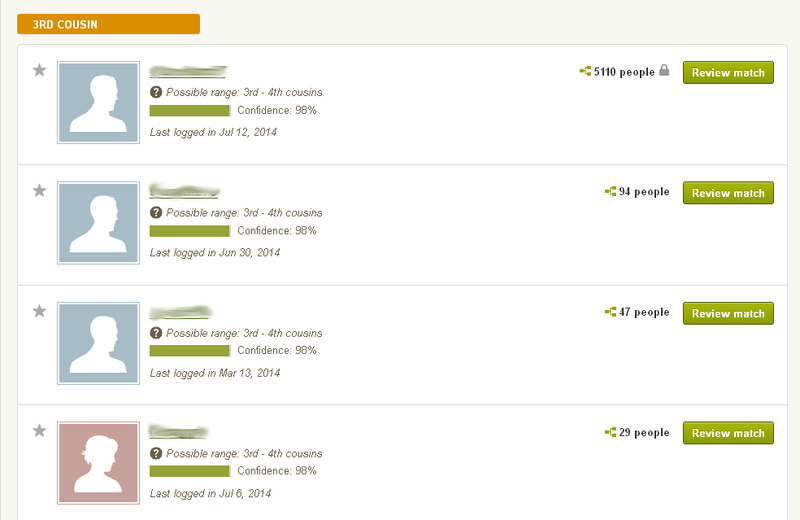 It seems that the 5th-8th cousin would be a 1st cousin 2x removed to the person you linked your DNA to. I wouldn’t get hung up on the 5-8th cousin connection though. If you have 27 shared ancestor hints, focus on the ones that are closer and try to see if there are multiples of the same names. So sorry it took me so long to respond. Let me know if you want me to take a look at it and I’ll see if I can help. Gedmatch T500844 NOLA adoptee as well 🙂 EXCELLENT explanation of mirror trees! You know I absolutely love this. Congrats and I do think you should do a video on youtube. I am in the beginning stages of building mirror trees. My question is will the match that I am using to build a mirror tree, to which I attach the dna results, receive the shared ancestor hint as well? TIA. Brooke, go ahead and double check your privacy settings and make sure your tree is private and unsearchable. Once you link your DNA to the “mirror tree” your DNA match will get a new shared ancestor hint but your tree will be private and unviewable to your DNA matches. They won’t be able to see WHO the shared ancestors are. The only way someone can see a private and unsearchable tree is if you have invited them to view it. Charles and Susannah Fleming are also my 7th ggps. Nice to meet another cousin. I thought you explained this process really well. Thanks for the post. I am struggling with the concept of a mirror tree and this is what I know. I am still searching for my bio mother. My DNA test results are on AncestryDNA and my closest DNA match on my bio mother’s side is a 2nd cousin. He has only created a minimal family tree. However, I have created a family tree for both his mother and father’s sides of his family. I have gone back in time to determine all four sets of his great grandparents. I have spent countless hours researching almost all of the decendents of those four sets of great grandparents without identifying my mother. I know her age and how old she was when I was born(I was adopted), I even have my ‘non-ID’ info. This is my sticking point, the family tree I have created for my second DNA cousin does not have me in it, ’cause I don’t know where I belong nor is it associated with his DNA. The screen shots that you have provided no longer appear in Ancestry DNA. Can someone advise me? Thank you for reading.